This look is perfect for a night out with the girls! 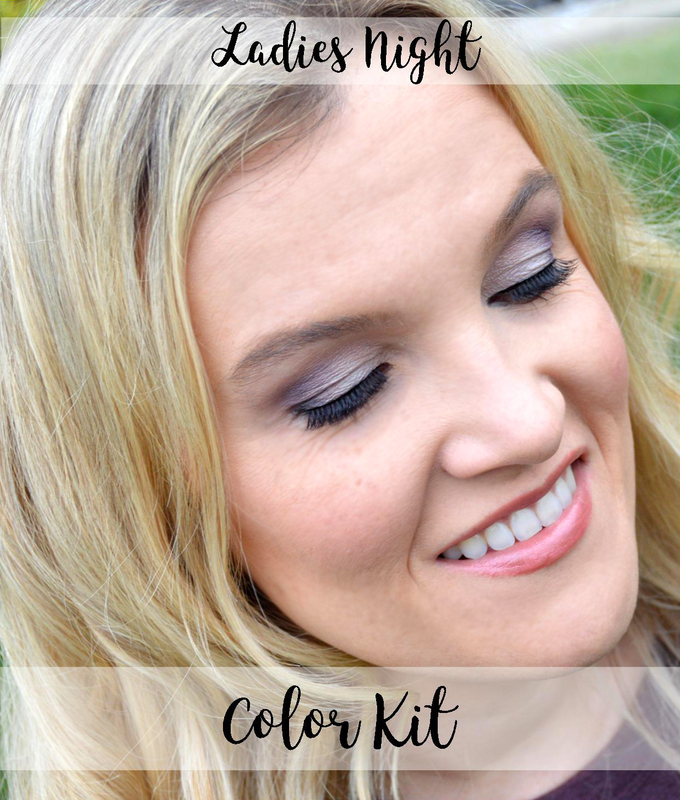 Ladies Night Color Kit includes 7 products that perfectly coordinate together! 1 Shadow Case, 2 Eye Shadows: Pearl Grey & Twinkle Plum. Blush: Blushing. Lipstick: Dream Catcher. Lip Liner: Rosette. Lip Gloss: Cosmo Pink. Be sure to watch the video tutorial on Facebook to see step by step on how to achieve this look yourself. Monthly Color Kits are a great way to add variety to your everyday makeup!